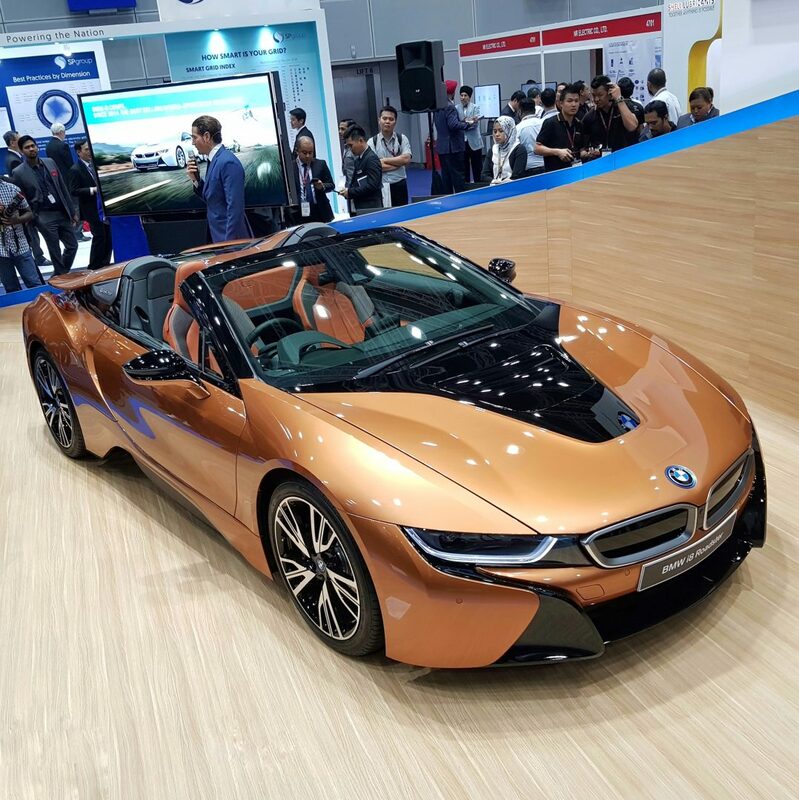 Yes, the first-ever BMW hybrid roadster just surfaced at the KL convention centre today in conjunction with CEPSI 2018, the Conference of the Electric Power Supply Industry with BMW as the official E-Mobility Partner. Ever Since BMW launched their i sub-brand in 2013, the car maker has had commendable success with its E-Mobility portfolio worldwide. In 2017, they’ve promised and delivered 100,000 electrified vehicles. Out of that, more than 82,000 electrified units were delivered in the first 8 months of 2018 – a 43.3% increase compared to the same period in 2017. BMW is now looking to achieve a delivery of 140,000 electrified vehicles in 2018. 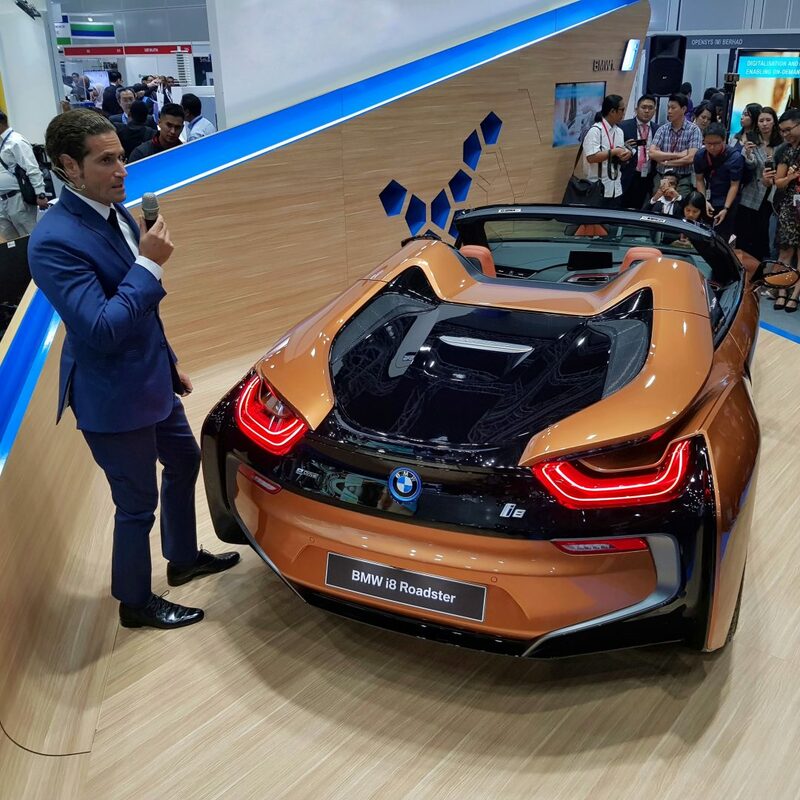 “BMW Group Malaysia sees itself as a key industry player capable of driving and shaping the national dialogue on the Mobility of the Future. Our leadership in Electro Mobility is amply reflected in the innovative range of electrified vehicles that have been launched under the BMW Group. 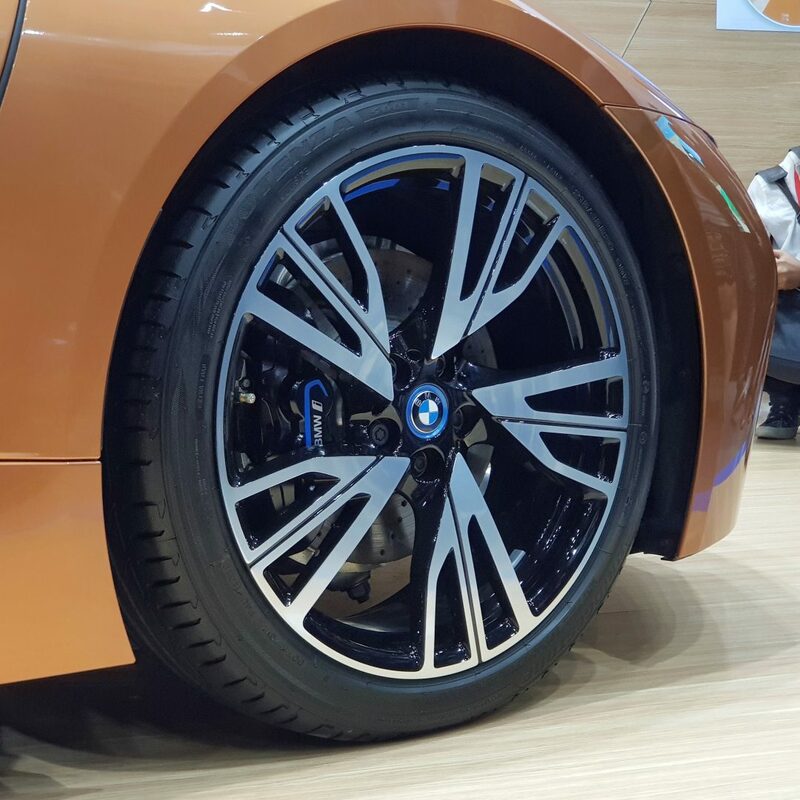 Our commitment to drive e-mobility forward is strengthened through our initiatives to drive innovation, local assembly capabilities, awareness on new and clean technology for the automotive industry as well as changing the infrastructure for premium vehicles in the country,” said Harald Hoelzl, Managing Director and CEO of BMW Group Malaysia. High-voltage battery unit is located centrally in the car’s underbody. The cell configuration has peak output of 105 kW/143 hp for quicker sprints on pure-electric power. The i8 Roadster can be driven on electric motor alone from step-off to a speed of 105 km/h. This petrol engine is switched off far more frequently when a measured driving style is maintained. eDrive mode allows a driving speed of up to 120 km/h on electric power alone. The i8 Roadster weighs 1,595kg, a remarkable figure for a convertible, hybrid car. 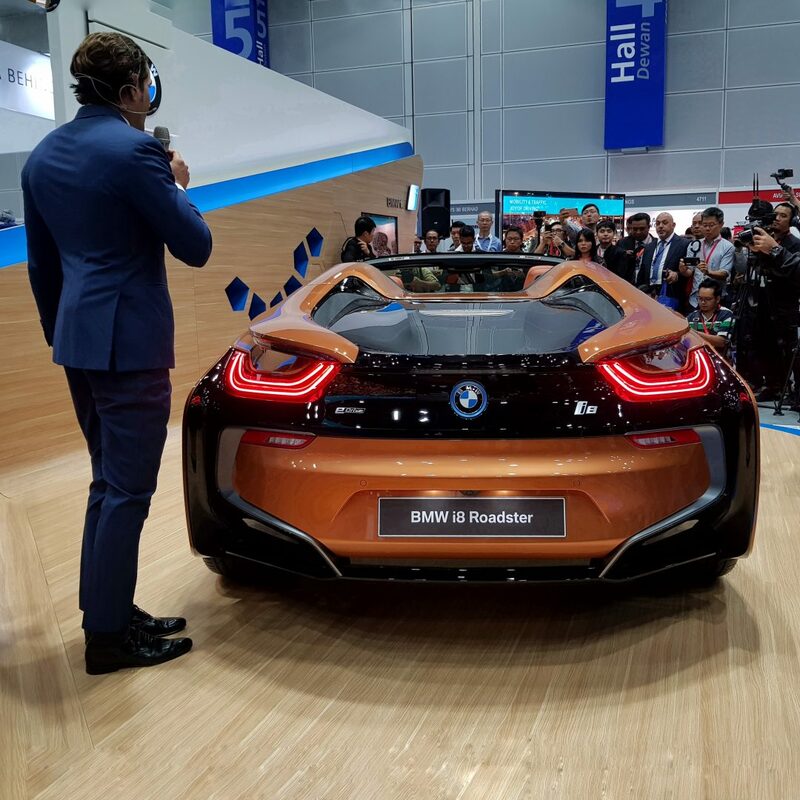 “The First-Ever BMW i8 Roadster is the ultimate icon for Mobility of the Future. 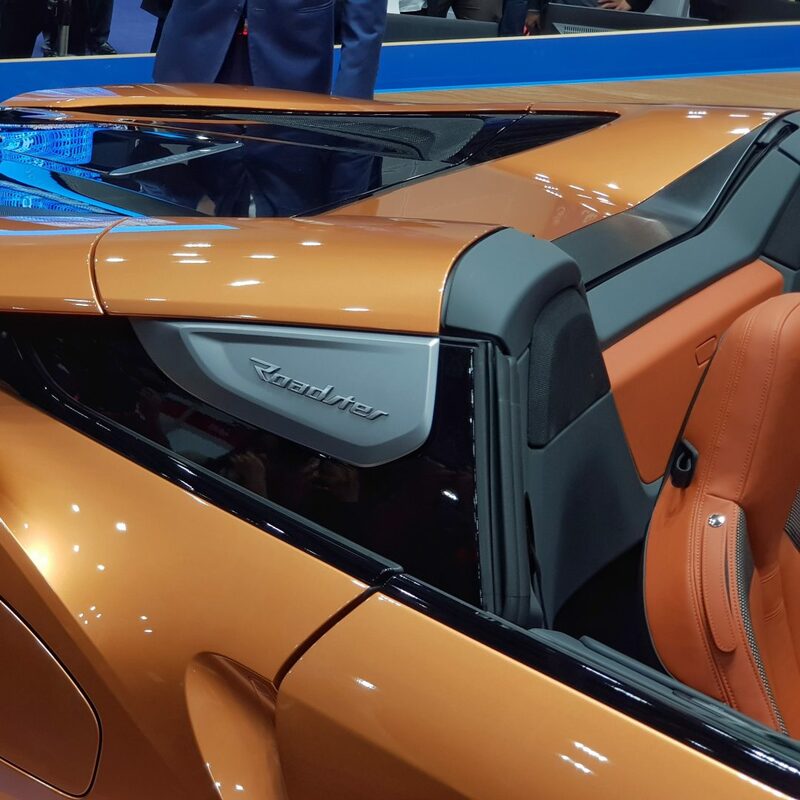 The open-top hybrid two-seater sports car redefines driving enthusiasm, freedom and demonstrates e-Mobility as the visionary way forward for the convertible sports cars segment,” said Hoelzl. The i8 Roadster comes in an E-Copper Accaro interior design, and will be available at authorised BMW i dealerships from 19th September 2018. That is seriously a damn good looking car. I think it gets away with the copper colour. I'm ok with it! But a blue or a silver combi would look more futuristic! It looks better than the normal silver/black combo. Even at 1/2 the pure electric range i can drive to work and come back. I think i dont need to refuel for at least 2 month if i drove this strictly for work. If only i can afford it…..
Yeah agreed. I'd own this too if it weren't so out of reach priced. I find it ugly. The rear is like angry birds.